Dear Member of Congress: As organizations concerned with public health in the United States and across the world, we are alarmed by the implications for access to medicines of the Trans-Pacific Partnership (TPP), signed by the U.S. and 11 other countries on February 4th, 2016. The intellectual property (IP), investment, and pharmaceutical and medical device reimbursement listing provisions included in the TPP would do more to undermine access to affordable medicines than any previous U.S. trade agreement. We therefore urge you to reject the TPP in its current form. Affordable medicines are critical to improving health outcomes. Yet millions of people in TPP countries, including the United States, lack access to needed medicines, in part because they are unaffordable. Research indicates that 19 percent of U.S. adults report not filling prescriptions because of cost. The impact on the U.S. economy of prescription noncompliance is estimated to be billions of dollars per year because of early death and expensive hospitalizations. Procedures affecting government reimbursement listing decisions on medicines and medical devices that allow pharmaceutical companies to intervene in public policy deliberations on drug pricing and reimbursements. Under the guise of “transparency,” this will ensure that drug companies have their say in what medicines and medical devices are included in government programs and thereby indirectly impact how they might be priced. This could have dire implications for efforts to incorporate best practices for cost-saving in any future reforms to our system, reducing the flexibility and policy space that Congress has to protect public health and limit pharmaceutical expenditures. Measures that enable patent “evergreening” by requiring countries to grant additional 20-year patents for new uses, new methods or new processes of using existing medicines. These provisions facilitate abuse of the patent system and extend the monopoly protection that enables patent holders to keep prices high over many more years for products that are already on the market. Extension of patent terms beyond 20 years when the patent office review exceeds a certain period, and when patent holders allege delays in drug regulatory review of a medicine’s safety and efficacy in order to grant marketing approval. Patent term adjustments significantly delay market entry of generic medicines. Rules requiring data/marketing exclusivity of at least 5 years for small molecule medicines plus at least 3 years of additional exclusivity for modifications of existing medicines or 5 years for combinations. These exclusivity periods create additional monopoly power separate from and independent of patents by blocking the registration and marketing approval of generic products. This delays generic competition even if there is no patent on the medicine. For the first time in a U.S. trade agreement, there is a separate provision for monopoly protection for biologic medicines – such as monoclonal anti-bodies that are rapidly becoming the treatments of choice for many cancers and other illnesses. Provisions include at least 8 years of exclusivity, or 5 years of exclusivity plus “other measures”, either of which could undermine the Administration’s budget proposals to provide no more than 7 years of exclusivity to allow less expensive follow-on biologics to come to the U.S. market sooner. The Federal Trade Commission has concluded no exclusivity period for biologics is necessary for companies to recoup costs and incentivize innovation. There is also concern that these provisions could keep prices higher for even longer if TPP parties enter into side agreements guaranteeing lengthier monopoly protection for these already high-cost medicines. Provisions enabling pharmaceutical companies to sue the U.S. or other governments in unaccountable investor-state tribunals to seek taxpayer compensation by claiming that public policies have deprived them of their anticipated profits. This can be a significant deterrent for governments to take action to protect public health and improve access to affordable medicines for consumers. We have already seen a $500 million investor arbitration case by Eli Lilly against Canada for its lawful invalidation of two pharmaceutical patents. Intellectual property protection is a public policy instrument intended to stimulate innovation in exchange for technological advancement that benefits the public. Governments have the responsibility to maintain an appropriate balance between promoting access to, and fostering innovation in, medicines. These TPP provisions significantly skew that balance away from consumer access to medicines by unduly expanding pharmaceutical industry monopoly power. They are far from being “21st century” forward-looking measures because they limit policy space domestically and abroad to ensure higher quality patents, to explore better innovation incentive policies, and to accelerate affordable access to needed health technologies. 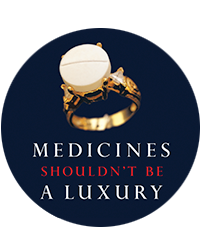 Rather, they are rooted in a system in which the pharmaceutical industry’s business model relies on extracting more profits from existing medicines, and setting prices as high as the market may bear, a system that is now failing to deliver the innovation needed to address today’s health needs at the same time that it prices millions out of the market. In the U.S., the TPP is a danger to public health and fiscal responsibility because it would lock in policies that keep prices of too many medicines unaffordably high. It would tie Congress’s hands, potentially for decades to come, preventing policymakers from having flexibility as they formulate sensible policies to promote access and keep medicines affordable. This would especially affect the large number of people with high deductibles, co-pays, and co-insurance. It would contribute to unpopular increases in insurance premiums for individuals and businesses and would affect taxpayers, especially with the anticipated rapid increase in use of expensive biologic medicines. Internationally, the IP provisions in the TPP would dismantle the positive step taken toward improving that balance with the agreement reached between the Democratic leadership in Congress and the Republican administration of George W. Bush on May 10th, 2007. The “May 10th Agreement” broke with the trend of imposing stronger and stronger IP protections in trade agreements, recognizing that they can run counter to public health interests; it was considered to be the best outcome that could be achieved at the time to strike a better balance to enable access to affordable medicines. Nearly ten years later, in 2016, the U.S. should be putting in place policies that further promote, rather than undermine, access to medicines and innovation. Although the pharmaceutical industry may not have gotten 100 per cent of the new rules it had wished for in the TPP, the new IP protections that are now included clearly contravene both the content and the spirit of the May 10th Agreement. All developing countries would be required to enforce the same rules, even if some are given modest transition periods for certain obligations. And several of these new provisions, as mentioned above, would significantly restrict generic competition and undermine access to affordable medicines. The TPP would also damage the ability of international humanitarian organizations to help patients and would reduce the effectiveness of U.S. foreign assistance – using scarce aid dollars to pay high prices for medicines instead of acquiring lower cost generics that would enable aid to reach more patients. The bottom line is that the TPP would undermine public health in the U.S. and overseas. As written, it is inconsistent with U.S. domestic health priorities and global health policy. We urge Congress to reject the TPP as long as these damaging provisions are a part of it. The stakes for public health are too high.